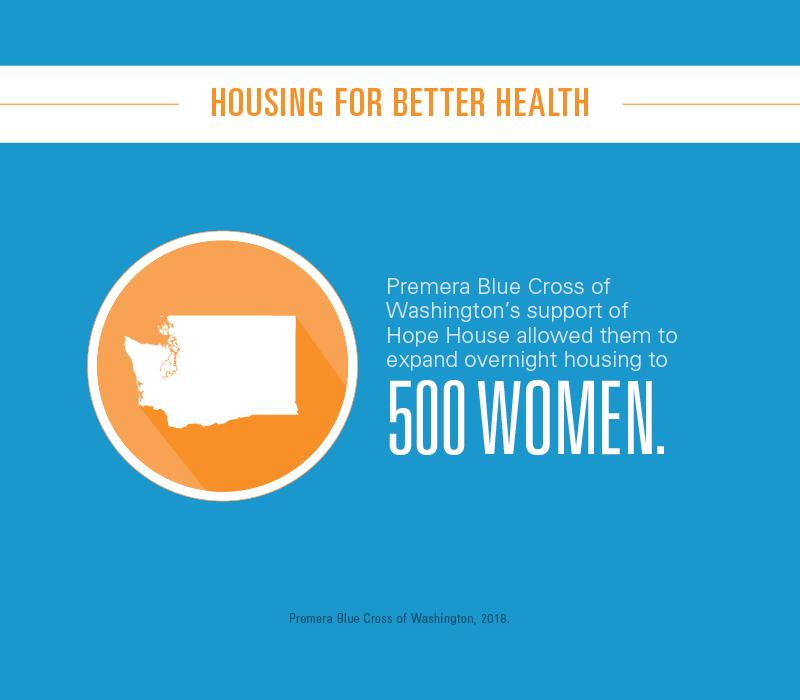 Housing is a health issue. There’s an inextricable link between health and housing, yet millions of low-income Americans have little choice about where they live. 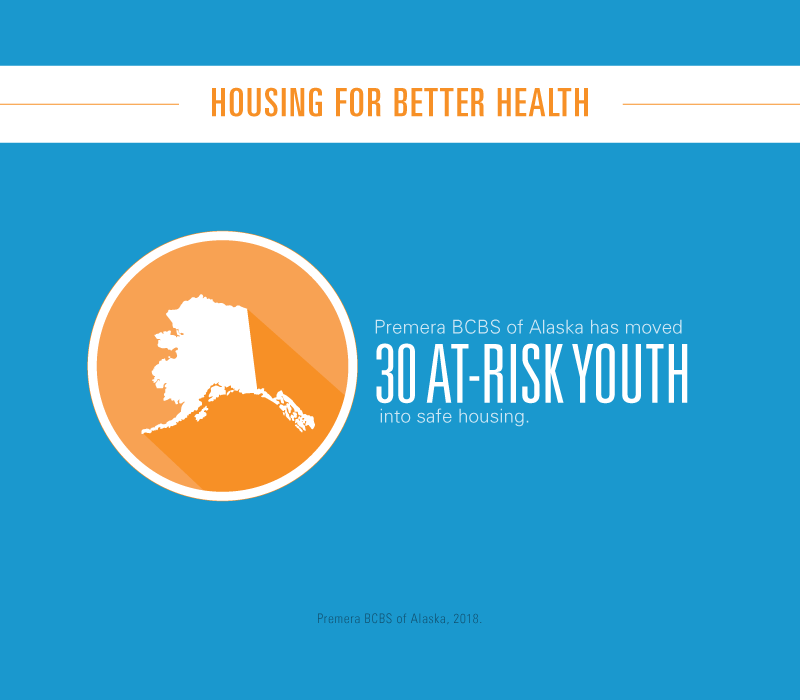 Inadequate and sub-standard housing can worsen—or even cause—significant health problems, contributing to a debilitating cycle of ill health, economic hardship and disadvantage passed from generation to generation. Nearly 40 million people in the U.S. are living in poverty and the Department of Housing and Urban Development (HUD) estimates half a million men, women and children experience homelessness on any given night. Poor housing conditions are associated with a wide range of health problems including higher rates of infectious disease, chronic illnesses and injury. Children are particularly vulnerable, as exposure to environmental hazards like mold and lead can lead to asthma, delayed childhood development and health problems later in life. Housing instability also leads to higher healthcare costs: People experiencing homelessness more frequently visit the emergency room and are five times more likely to be admitted to the hospital. They also stay in the hospital for up to four days longer, at a cost of $2,000 to $4,000 a day. 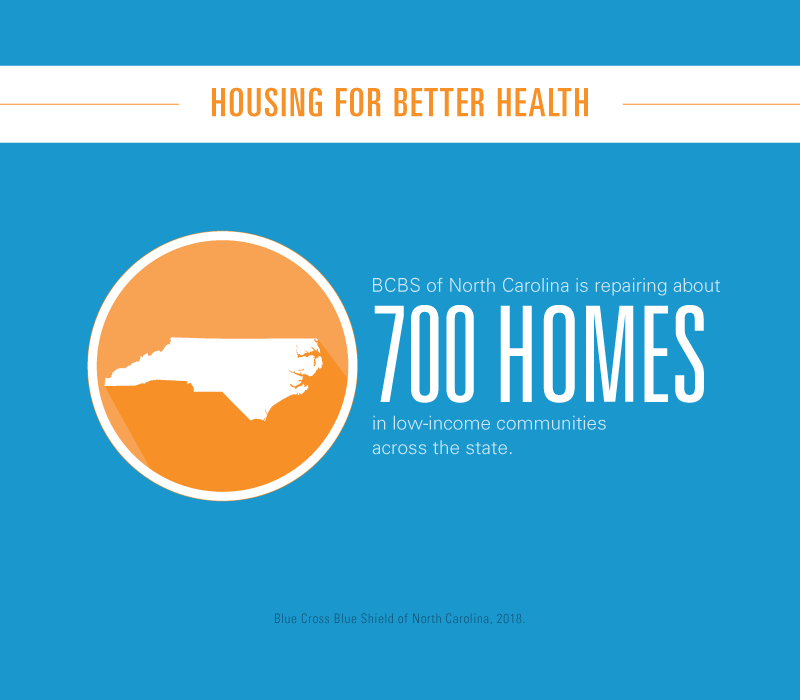 There is a growing recognition that addressing housing and other social factors significantly impact a person’s overall health and well-being, and can save healthcare dollars. In Massachusetts, for example, a community initiative to address chronic homelessness run by the state’s Medicaid program saves $12,000 in annual per-person healthcare costs – an amount that far exceeds the cost of the program itself. 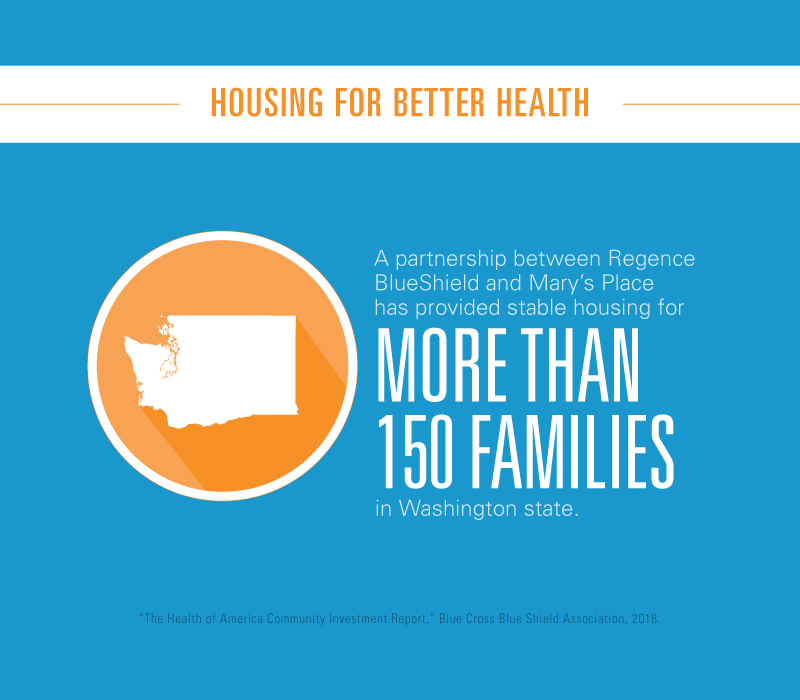 Blue Cross and Blue Shield companies are also making strides, going beyond their traditional roles to build the foundation of good health through addressing housing instability. Premera BCBS of Alaska, Premera Blue Cross of Washington, Regence BlueShield, Anthem Blue Cross Foundation, and BCBS of North Carolina are independent licensees of the Blue Cross and Blue Shield Association, an association of 36 independent and locally operated Blue Cross and Blue Shield companies.